I am test-driving the cooking instructions and will be posting them shortly. Thanks for your patience. 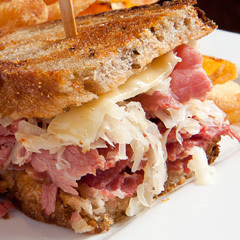 This entry was posted in Recipes, Sandwiches and tagged 1000 Island dressing, corned beef, reuben, rye, saerkraut. Bookmark the permalink.